UL listed for outdoor - indoor use. 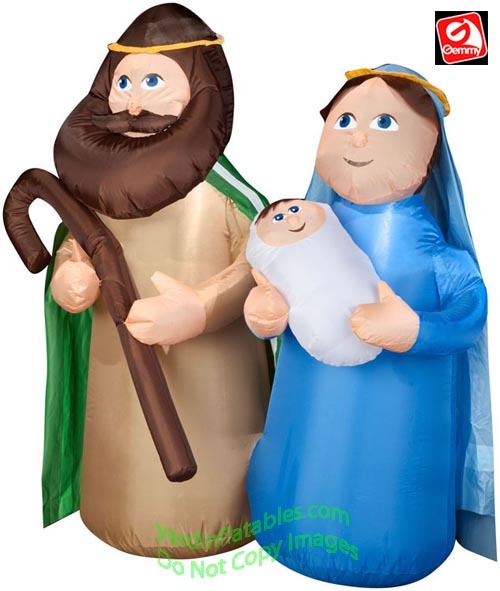 Holy Family With Mary, Joseph, and Baby Jesus! 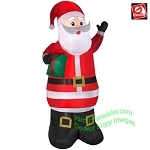 This Gemmy Air Blown Inflatable Christmas Decoration comes with built in fan, internal lights to create a glowing night-time display, yard stakes and tethers. Great Birthday Present, Christmas Gift or Stage Prop !